Residents of Khayelitsha township in Cape Town face numerous everyday, chronic risks which must be addressed in order to build resilience. Photo: Photo: Masixole Feni via GroundUp. Building resilience has increasingly become a goal for urban areas in the face of climate change in order to protect lives and livelihoods. Resilience is a sticky topic, largely because conceptualizations generally focus on resilience as the ability of a system to ‘bounce back.’ Often, resilience is discussed in the context of acute disaster risk - how can a city be resilient in the face of a typhoon, flood, or drought exacerbated by climate change? Combined, however, with a historical approach to resilience-building as a technocratic, top-down process, this resilience discourse has tended to emphasize the resiliency of physical and ecological infrastructure. This neglects the social vulnerabilities of everyday risk that can accumulate and increase the vulnerability of various communities. Moreover, this type of resilience discourse belies a historically global North formulation that does not acknowledge the lived realities and experiences of African cities. African cities face unique challenges including high levels of informality in institutions, rapid planned and unplanned urbanization, and lack of governance capacities, many of which stem from colonial legacies. This paper* analyzes how resiliency can be made applicable to urban African contexts. The authors argue for resilience based in a justice-orientation, where people, not infrastructure, are viewed as the ‘object to be made resilient.’ By so doing, cities are better equipped to address everyday risks stemming from the lack of basic entitlements. This, in turn, will build resilience to acute shocks. In traditional resilience discourse, governance focuses on infrastructural resilience, which often overshadows and fails to address rights and entitlements. This is problematic when considering both the intrinsic value of rights and entitlements - which should be pursued for their own sake - and their instrumental value. By addressing rights and entitlements, governance can address the everyday risks that accumulate from the lack of basic entitlements. For example, colonial legacies and rapid urbanization in African cities have seen ballooning populations of informal settlements. 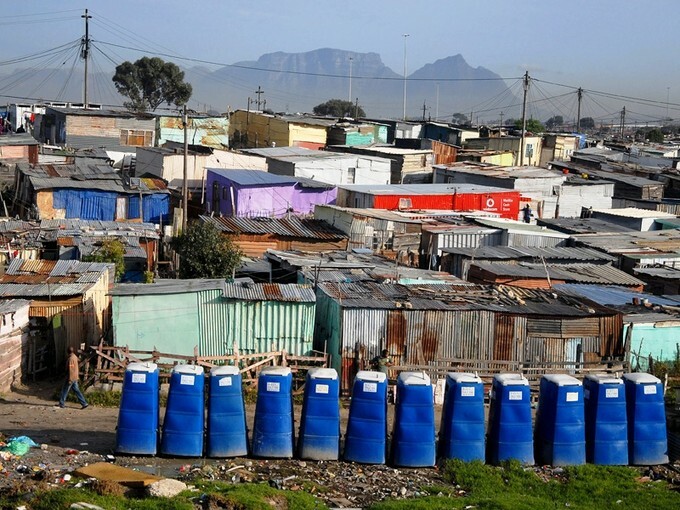 Residents of informal settlements often lack basic entitlements like adequate housing, sanitation and clean water infrastructure, and access to critical services and, as a result, are more vulnerable to shocks. Inserting justice into resilience thinking attempts to invert classic discourse, where people’s rights and entitlements are central to building resilience, and infrastructure is one means to addressing gaps in lived and ideal entitlements. The authors use the following terminology and definitions. These definitions are open to debate, given the complexity and nuance of these topics. Rights – claims that rights-bearers may press against one another. The authors acknowledge their assumption that people do have basic human rights as enshrined in the Universal Declaration of Human Rights. Entitlements – Many basic human rights we enjoy are rights to entitlements – health, housing, safety, energy, water, sanitation, education, among others. *This paper was originally published in Environment & Urbanization on March 20, 2017. Download available from the right-hand column. Key concepts and messages are provided below. See the full text for much more detail. The authors propose four ‘entry points’ to integrate a justice-frame into the resilience agenda. 1. Move away from financial understandings of risk. Planning for resilience depends in part on what a city considers to be ‘at risk’ and who is involved in those processes. By and large, risk assessments have taken a financial framing that focuses on the risk posed by acute events (e.g. Disaster Risk Reduction). This privileges those assets that are both readily valued in monetary terms and high-value. Of course, a home in an informal settlement may be ‘low-value’ according to these formulations but would be a critical loss to a poor household. Address questions about resilience for who, against what, where and when. Identify winners and losers when investing services and infrastructure where there are inevitable trade-offs, and reorient investments to ensure justice-based concerns are accommodated. Include a broader set of criteria in decision-making to address negative externalities, and prioritize actions that create positive externalities. 2) Create opportunities for negotiated resilience. 3) Strengthen endogenous forms of resilience. Resilience should also learn from the insight of resilience built from the bottom-up. Rather than viewing local networks and knowledge as areas that need to be shaped around pre-defined resilience agendas, endogenous forms of resilience can instead build resilience outward. Essentially, resilience must be considered within the context in which it is situated, rather than attempting to fit a predefined and external resilience pathway into different urban contexts. 4) Understand and interrogate urban resilience narratives as a by-product of global systems. In order to further endogenous forms of resilience, however, it is important to acknowledge that African cities exist within a global system. This global system is currently dominated by neoliberal narratives and practices. Consequently, much of resilience thought and planning stems from neoliberal assumptions that free-market solutions can be broadly and objectively applied to environmental problems, despite the fact that this ideology, in many ways, contributed to and compounded environmental and social vulnerabilities, and continues to do so. This is especially true in African cities who are situated within the context of colonial and exploitative legacies. Effectively, addressing the assumptions and failings of the dominant global system narrative is crucial to promoting rights-based, negotiated, and endogenous resilience. Refocus financially driven urban risk reduction responses to address injustice and violations of rights. Create opportunities to interrogate and integrate the priorities, values and experiences of diverse interest groups. Strengthen and build on endogenous forms of resilience. Understand the narratives and practices of urban resilience as products of global systems. Ziervogel, G., Pelling, M., Cartwright, A., Chu, E., Desphande, T., Harris, L., Hyams K., Kaunda, J., Klaus, B., Michael, K., Pasquini, L, Pharoah, R., Rodina, L., Scott, D., & Zweig, P. (2017) Inserting rights and justice into urban resilience: a focus on everyday risk. Environment & Urbanization 29(1): 123-138. Vulnerability indicators are a valuable tool to identify vulnerable spots, guide the allocation of adaptation funding, communicate and raise awareness, and monitor the effectiveness of policies. A future water plaza in Rotterdam, in rainy times. Image source: BBC News.